What in the 7 hells is “Nerd Makeup”? It means that we took our love of bright colors, GLITTER, and outlandish style decisions and fused them with our insistence that being a “grown up” is highly overrated. We also firmly believe that playing video games is a business, tabletop campaigns should be celebrated as national holidays, and comic books should replace all employee handbooks. Pop culture references out in the wild make us smile, so we’ve added our own jungle of shenanigans into the mix in the form of nerd makeup! 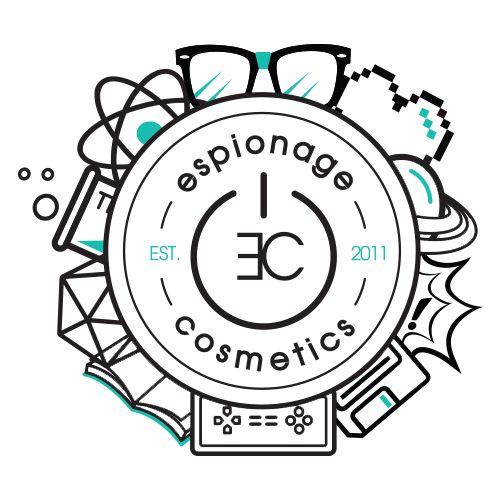 Espionage Cosmetics: this is Where the Wild Things Are! Go forth and paint the world!